From exclusive high roller bonuses to lavish expensive gifts, there are plenty of perks to joining the VIP programme at an online casino. Get rewarded for your loyalty and be treated to exclusive promotions at the brands listed below. Join Novibet casino today and claim a 100% match welcome bonus, plus VIPs are rewarded with up to £4,000 bonus cash every month. You can use that cash to play on the large variety of casino games including progressive jackpots like Mega Moolah, Hall of Gods and Mega Fortune. Terms & Conditions: 18+, New customers only. Deposit a maximum of £250 to receive 100% bonus. Min 35x wagering (on deposit + bonus) on selected games. A player can’t claim the "£4,000 VIP Club" offer unless they have already completed all 5 steps of our Casino Welcome Package. Full T&Cs apply. 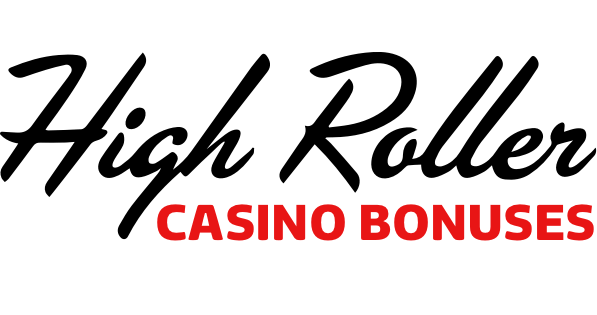 At 777 Casino you can claim up to £1,500 during their first week when you make your first five deposits. Become a VIP to gain access to the exclusive 888 VIP Casino Club and you’ll be treated to luxury perks like a dedicated VIP manager, lucrative bonuses and access to high stake tables, just to name a few. Terms & Conditions: New players only, £20 min deposit. 1st deposit immediate 100% up to £100 FreePlay. 2nd-5th deposits must be done and wagered 3 times within 7 days of the 1st deposit. Bonus wins are capped at £500. To withdraw bonus & related wins, wager 30 x (bonus amount) within 90 days. Full T&Cs apply. Stretch your deposit at Slots Magic with a £100 bonus using promo code BOOK75, plus 75 free spins on the popular slot game Book Of Dead. VIPs get a magical experience including access to world-renowned events, faster payouts and a monthly cash bonus. Terms & Conditions: First Deposit Only. Min. deposit: £10, max. Bonus £100. Game: Rich Wilde and the Book of Dead, Spin Value: £0.10, Max Extra Spins:75. WR of 30x Deposit + Bonus amount and 60x Extra Spin winnings amount (only Slots count) within 30 days. Max bet is 10% (min £0.10) of the extra spin winnings and bonus amount or £5 (lowest amount applies). Extra Spins must be used before deposited funds. Full T&Cs apply. Sign up to BetVictor today and wager £10 to claim the £70 welcome bonus. There are hundreds of games to choose from including popular slots like Gonzo’s Quest and Starburst, as well as plenty of classic table games such as roulette, baccarat and blackjack. Terms & Conditions: New customers only. £50 bonus = 1x £20 bonus + 3 x £10 bonuses for selected games with up to 60x wagering applicable. Deposit with credit or debit card only and wager £10 within 7 days of registration. Full T&Cs apply. Join Cheeky Win today and claim up to £1,000 bonus cash from your first three deposits, plus get up to 100 free spins on Leprechaun Song. Once you become a Cheeky Win VIP, you maintain that status for life and are treated to faster withdrawal times, exclusive promotions and a personal account manager. Terms & Conditions: New players only. First 3 deposits only. Min deposit £10. Max bonus £1,000 + 100 spins on Leprechaun Song. Selected slots only. 4x conversion 40x wagering. T&Cs apply. Casino Joy is packed with weekly promotions, free gifts and an exclusive VIP package that keeps on giving. Sign up and deposit to double your cash, plus get 200 free spins on NetEnt’s super popular slot game – Starburst! Play hundreds of games including Immortal Romance, Thunderstruck II and Book of Oz. Join Vegas Hero today and treat yourself to a colossal reload bonus package of up to £1,000 on your first four deposits. Vegas Hero players can experience the VIP treatment with a dedicated account manager, personal withdrawal service, exclusive bonuses and flights to the home of gambling – Las Vegas! Terms & Conditions: 18+ Full T&C's Apply. New players Only. £10 minimum deposit. 40 x wagering applies. Bonus valid for 14 days. Minimum £5 wager required to activate 50 Free Spins. 10 Free Spins will be credited per day for 5 days after qualifying deposit/wager is met. Free Spins valid for 72 hours from credit. If you’re looking for a generous casino bonus, then Handy Vegas has the welcome offer for you. Join today and claim up to £500 bonus cash, plus 200 spins on Starburst over your first five deposits. Play hundreds of casino games including NetEnt’s impressive range of live dealer tables like roulette and blackjack. Terms & Conditions: New customers only. First 5 deposits only. Min deposit £25. Max bonus £500 + 200 spins on Starburst. Selected Slots Only. 5x conversation, 40x Wagering and T&Cs apply. 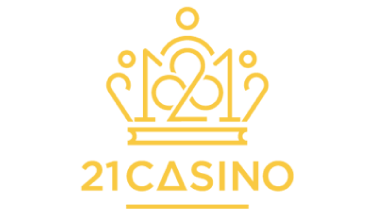 At 21 Casino, VIP players are treated like royalty and can build up loyalty points to exchange for bonus cash regularly. Join today and you can claim a 121% match bonus up to £300. Play huge progressive jackpots including Mega Moolah, Hall of Gods and Mega Fortune. Terms & Conditions: 18+. New players only. Minimum deposit of £10. Bonus funds are 121% up to £300 and separate to Cash funds. 35x bonus wagering requirements. £5 max bet with bonus. Bonus must be used within 30 days otherwise any unused bonus shall be removed. Terms Apply. 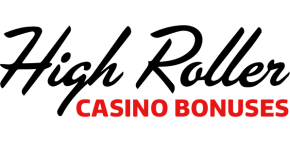 Join Fun Casino and claim up to £499 bonus cash when you make your first deposit. Choose from a great selection of casino games, including progressive slots like Mega Fortune and Arabian Nights as well as the complete Evolution Gaming live dealer collection with high limit roulette and blackjack tables. How do I maintain my VIP status? You may be required to fulfil certain deposit or wager requirements to maintain your VIP level after becoming eligible for a high roller programme at a casino or slots site. Check the T&Cs of your chosen casino or speak directly to your VIP manager to determine what might be involved. However, not all brands have strict maintenance requirements. Some casinos make it harder to qualify, but once you do, you’re a VIP for life regardless of your future gaming activity. What are the perks of being a VIP at an land-based casino? High rollers at a land-based casino are showered with extra special treatment and can expect luxury room upgrades, first-class transportation and complimentary bottles of Champagne as a minimum. VIPs are also given exclusive access to casino tables complete with higher betting limits to allow players to play against like-minded individuals who enjoy high stake games. How much do I need to deposit to be considered a high roller? It’s a common misconception that the title of high roller is reserved only for players who deposit thousands of pounds each month. While larger deposits certainly grab the attention of VIP managers, the programme selection process is a little more discerning than simply rewarding those who spend the most. Casinos use a variety of factors to determine who is worthy of the special attention that the highest VIP status brings, such as your average bet size, how often you play and the games that you play on. A player who makes consistent and regular deposits is more likely to be considered a high roller at an online casino than someone who deposits a large amount once but rarely plays again afterwards. Why claim a high roller bonus? A high roller bonus is an enhanced offer designed to catch the “big fish” in the sea of casino players, sometimes referred to as whales. A ‘whale’ is defined as a player who deposits and wagers a large amount of money as defined by a single casino. It’s a term that once described individuals who went to Las Vegas and spent hundreds of thousands of dollars on lucrative games like poker or blackjack. These players would be showered with free dinners, room upgrades and tickets to exclusive events. Nowadays, any player has the potential to receive similar benefits by playing online thanks to the sophisticated data algorithms used by websites to recognise loyalty. With so many promotions to choose from, here’s a breakdown of the benefits of claiming a high roller bonus. While a standard deposit bonus will satisfy most casino players, some require a little more cash to persuade them to sign up. High roller bonuses can be upwards of £1,000 and allow you to try out a casino for longer. Some high roller bonuses have lower wagering requirements than standard promotions because it’s in a casino's best interests to keep VIP players happy and encourage them to return to the site and deposit. Claiming a high roller bonus may immediately put you on the VIP scheme which means you can start claiming benefits like cashback, daily free spins and flexible transaction limits. Gaining high roller status varies so dramatically between sites, there’s simply no one-size-fits-all method you can follow. Some casinos have a clearly defined system with easy-to-follow instructions on how to claim VIP status. Others work on a more ‘exclusive’ invite-only policy, making the qualification process more secretive and sometimes confusing. We suggest you pick an online casino that you genuinely enjoy playing on – not just the brand with the most appealing welcome offer or VIP perks. 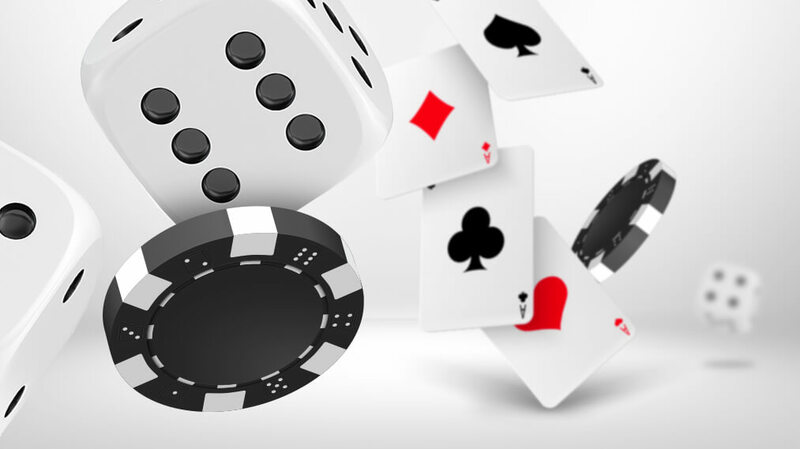 Use a review site like ours to compare casinos based on factors like variety of games, site functionality, ongoing promotions, support availability and withdrawal times. Once you’ve found a suitable high roller casino, check its VIP page or speak to the customer service team to find out how to climb the ranks. You may need to wager a set amount of money, deposit a minimum amount or complete ‘missions’ to unlock the next level like playing certain games and logging in daily. It’s usually a matter of playing often and not necessarily depositing lots of money. You also don’t need to aim for the top because most casino VIP programmes are multi-tiered and reward players with various budgets. Being a high roller can come with fantastic perks, and if you’re already playing often and wagering a certain amount, the extra benefits are the cherry on the top. However, we don’t recommend chasing VIP status, especially if it means spending outside your assigned budget. A great casino will award perks to loyal players, not just those who deposit the most money, so do your research when choosing a casino that’s perfect for you and your bankroll. There are plenty of personalised bonuses available for low-rollers and average-spend players, so you won’t be missing out.